When I first started writing songs, the music industry was a very different place than it is currently. I would write songs in the style and genre of any given recording artist that I knew was looking for songs at the time, and would then press hard to get those songs recorded by those artists. My publisher was a significant factor in placing my songs with recording artists, and in those days, even an album cut would make money – but that’s not so true in today’s business. Today, I believe that publishers can have an instrumental role in the success of their writers simply by procuring a well-crafted song in a strategically placed sync. I look at syncs today as the new single. The impact a sync can have, especially for an unsigned band, can be staggering. 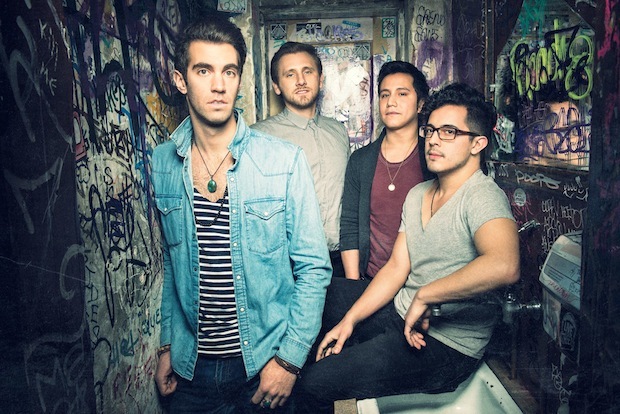 When I first discovered American Authors, they were actually just beginning to discover themselves. Originally, American Authors was known as The Blue Pages, and had been together for five years or so without having much success. One of the group’s producers would pitch me their material from time to time over the course of about a year. At that time, I just didn’t hear any potential breakout smash hits – but obviously, all that changed. Film and TV publishing executives would continually ask me for music for their advertising clients, as well as what music supervisors were looking for. These “pitches” were all very specific, and I felt quite privileged to be given this information. It was like bringing a gun to a knife fight – I had a clear advantage. I would pass this information on to my writers, as well as the American Authors camp. Then something magical happened: Shep Goodman sent me a new American Authors song called “Believer,” and it was perfect! That song covered every aspect of what the advertisers and music supervisors were looking for – it was up-tempo, feel good and had a positive message. It was also the first time their productions included that totally identifiable vocal sound. And just like that, bang! American Authors was born. The next song that came in was “Best Day Of My Life,” which was certainly the best day of mine! That song was sync gold and I knew it on first listen, but no one could have predicted the enormous success that it’s enjoyed, both in the sync world and at radio. I just feel very lucky to have been part of it. Now read those song titles again… notice anything about them? Do you see any titles that portray negativity? Any romantic love songs? Any break up songs? If you listen to them, do you hear any ballads? Any poorly produced tracks? Nope! These boys and their production team are individually so talented, but together, they’re simply magic. So with this in mind, let’s break it down a little more to really understand how to write a “licensable” song. If you take ballads out of the equation right away, your chances of writing an up-tempo banger increase by 100% – so why fight it? Ballads, as beautiful, deep and touching as they can be, are way harder to place with an advertiser or in a TV show. They’re also more difficult to place with recording artists. Did I really just say that? Yup. Love songs are, of course, among the most popular to write and certainly have their place, but the truth is that there’s a limited market for them in the sync world. Again, a strategically placed sync can blow your song up to the top of the charts. Take Icona Pop for example. The first time I heard “I Love It,” I knew it was a hit. One strategic placement a year later in the TV show “Girls,” and that fun, carefree, danceable song exploded. Hit song after hit song have similar, if not identical, formulas (The Axis Of Awesome demonstrates this clearly). So as a jumping off point, try analyzing what these formulas are and “steal” them. By “steal” I don’t mean literally infringe on someone’s copyright – just take note of what makes a strong chord progression, form, melody, lyric, arrangement, beat, etc., and apply these elements to your own songs. You don’t have to reinvent the wheel – just take what already works and put your own unique spin on it, making sure that you have a standout concept, title and melody to really set yourself apart. If you’re a songwriter who’s looking to not only write a “licensable” song, but also place that song with a recording artist, try to get in a room with an artist and write a song together. This is the shortest distance from A to B, so why not take the shortcut? Remember, a recording artist doesn’t necessarily need to be signed to a record label just yet – the song that you co-write together could be the very catalyst the artist needs to receive recognition (and the catalyst you need to jumpstart your songwriting career). Treat every artist as if he or she is already a star, and write the best damn song you ever have with them – as long as it’s not a ballad! Heed this advice when you write your next song, and you’ll be a lean, mean songwriting machine. Stay tuned right here on blog.sonicbids.com to learn about how songs get from pen and paper to radio. Jonnie “Most” Davis currently serves as Senior Vice President of A&R/Head of Label Services for Round Hill Music. Jonnie has had the distinction of working with some of the most celebrated artists in the world, including Pink, Marc Anthony, Biggie Smalls, P. Diddy, Outkast, Usher, Santigold and American Authors. Davis has accrued 20+ gold and platinum records and has been credited on albums with sales topping 100 million worldwide.